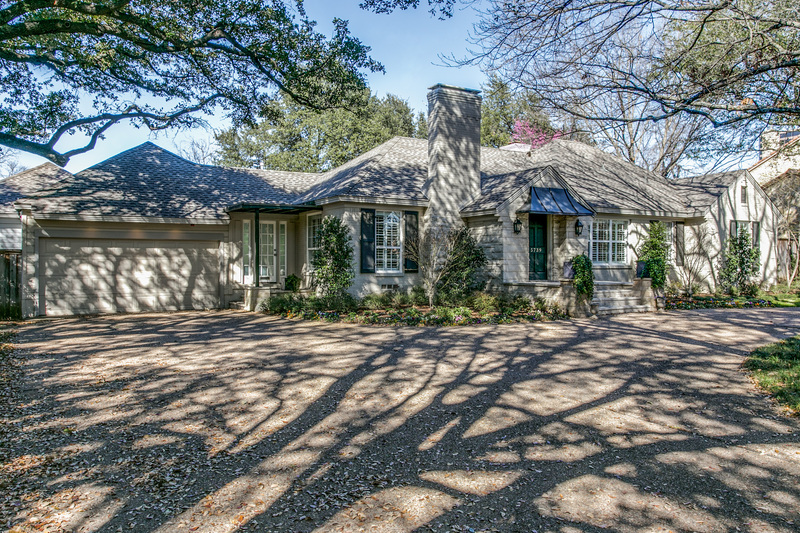 Situated on one of the coveted Estate streets in prestigious Devonshire, 5739 Redwood Lane is a charming clean lined Austin stone soft contemporary ranch-style residence nestled on a gorgeous almost half-acre heavily treed lot with an expansive circular drive. Details include an open floor plan with a light and bright interior, spacious entertaining rooms, gleaming hardwood floors, deep molding, recessed lighting, plantation shutters, and fabulous marble and granite finishes throughout. The sophisticated one-story home offers approximately 3,839 square feet, four bedrooms, three baths, elegant formal rooms, a spacious chef’s granite kitchen boasting an immense island with breakfast bar and premier stainless steel appliances, including Thermador and SubZero, oversized great room with fireplace, built-ins, and also opens to the outdoors, spacious den also opening to the outdoors, luxurious oversized master suite with a tray ceiling, sitting area and a fabulous travertine bath showcasing His and Hers vanities, a jetted tub, separate double shower and a room-size walk-in closet, three additional generous-sized bedrooms with hardwood floors or neutral carpeting, large walk-in closets and are served by two elegant granite and travertine baths, a fully equipped utility room, covered deck, fabulous pool and spa, huge verdant landscaped grounds overlooking mature trees, and a two-car attached garage.